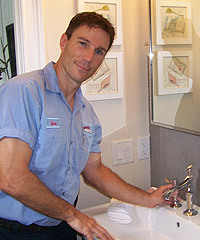 For a homeowner, nothing can be more nerve-racking than when the sewer plumbing does not work correctly. The entire home’s waste water flows through one pipe that carries it away from the home and into a city sewer or septic system. Clogs, line breaks, and backups can occur unexpectedly but having a plumber experienced in sewer cleaning and replacing can be the key to getting things flowing again. 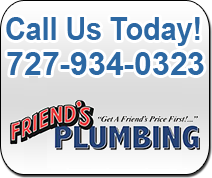 At Friends Plumbing, we have the experience necessary to pinpoint a sewer line problem and to get it fixed in a timely manner. 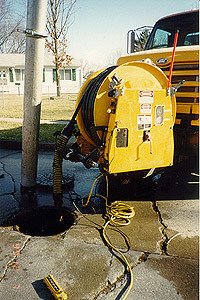 Our sewer cleaning service is timely so you are not inconvenienced any longer than you need to be. As one of the best sewer services in the business, we offer everything from sewer drain cleaning to sewer line replacements and new installations. Our trained service technicians will respond quickly and work efficiently to get your septic or sewer lines working properly. Experience why we are the number one sewer service company in the area providing sewer replacements and cleaning at a competitive rate.